Located in one of the world’s most amazing natural environments, Anchorage is also Alaska’s largest and most cosmopolitan city. Anchorage’s modern conveniences and cultural wonders are enhanced by the constant presences of six stunning mountain ranges that enhance the recreational opportunities afforded by living here. Anchorage’s amazing quality of life has garnered it numerous recognitions, including four distinctions as an “All-American City.” All year long residents of Anchorage enjoy outdoor recreational opportunities that can rarely be matched. Whether your interests range from fishing, kayaking, exploring the mountains and nearby glaciers and much more—America’s crown jewel in the great outdoors are just right outside of yours when you live in Anchorage. This is where the landscape is celebrated through numerous holidays and celebrations, including the ceremonial start of the world-famous Iditarod Trail Sled Dog Race. 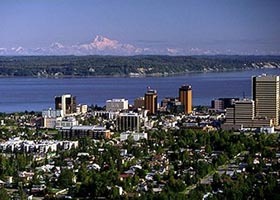 But Anchorage residents enjoy more than just the beauty that surrounds them as this modern city has developed an incredible array of shopping and dining experiences. From unique antique shops and boutiques to large-scale retail malls, you are sure to find something for every need or desire in Anchorage's retail options. Food aficionados well revel in the amazing selection of restaurants and cafes that include five-star restaurants, seafood so fresh it seems to have come right from the boat to your pate, and other menu items sure to please any palette. Notable attractions in Anchorage include the galleries and museums featuring our many artists and incredible history and heritage. Of course the whole family will enjoy the local zoo, botanical gardens or a performance by the many visiting musicians or performance companies who come to Anchorage to share their talents. Anchorage also boasts a vibrant economy with the petroleum industry, tourism and two U.S. military bases continually provide a solid foundation for the city's future. Students in Anchorage attend 88 public schools the Anchorage School District, or the many private schools that are available. Once fully-prepared for a higher education, four local institutions offer bachelors and masters degrees. The Anchorage real estate market is just as diverse as the cities's other attractions and include homes to suit any lifestyle, family size or personal preference. Feel free to review our current listings by clicking the button above, or by contacting The Kristan Cole Team at any time! 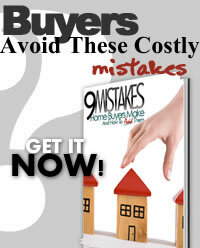 Looking for Anchorage homes for sale? Search our local listings database for access to Anchorage home listings. Whether you want to buy or sell an Anchorage home, you can browse through properties or find a wide variety of real estate resources available on this website. If you are looking for a Anchorage REALTOR®, choose the Kristan Cole Network! 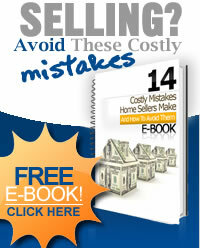 As your Anchorage Realtor, the Kristan Cole Network can assist you with all of your home buying and selling needs. We can provide you with access to the local listings database with easy to use tools to search Anchorage homes for sale, provide a Comparative Market Analysis to determine your home's value in Anchorage, Alaska and offer my experience and knowledge to make the home buying or selling process easier for you and your family. Contact the Kristan Cole Network today to get your home search started for an Anchorage home!